Pamplin Media Group - Don't get stuck with a lemon! Are you considering buying a used car? Spending time to research the car you are considering could save you money. Whether you are buying a car from a dealer or private party, you can protect yourself from buying a lemon with these useful tips. Test drive the car in varied conditions such as freeway, in town, uphill, or inclement weather. Ask for maintenance records. Knowing how the car has been maintained should influence your decision. Research the model of the car to understand safety statistics, maintenance costs, mpg, and customer satisfaction. There may also be an inspection checklist for you to follow. Run a VIN check with the National Motor Vehicle Title Information System (NMVTIS) to find information about a clean title, odometer data, or possible damage history. Find out if any recalls have been issued on the model at safecar.gov. Ask for the repairs to be fixed or documentation proving the recall repairs have been handled appropriately. Determine the value of the vehicle before you start negotiations. Resources like Kelley Blue Book or NADA Guides will help you conclude an accurate value. Ask a trusted mechanic to inspect the car. A respectable mechanic will have extensive knowledge about the model and will know what to look for. In Oregon, used cars can be sold "As-Is" with little recourse for buyers who purchase lemons. Don't get stuck with a bad used car. 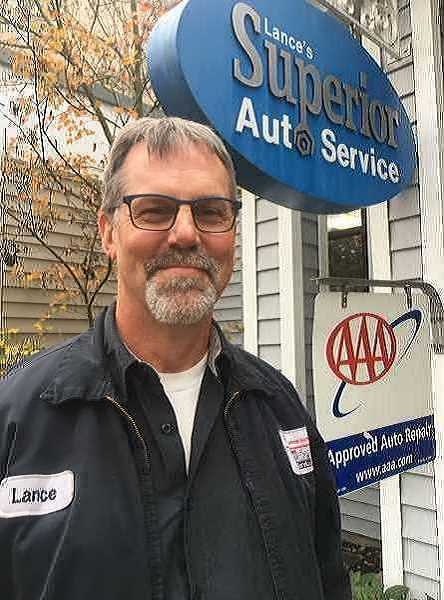 At Lance's Superior Auto, our AAA/ASE-certified mechanics will inspect the car you are considering for safety, performance and value.